Future iPhone cameras could better support third-party lenses. A lens attachment can extend the view of your native iPhone camera. It can also botch an otherwise nice image if not attached properly. Apple is suggesting hardware and software changes to the iPhone and iPad camera systems that can reduce operator error and aid an extra lens in delivering that promised DSLR quality. 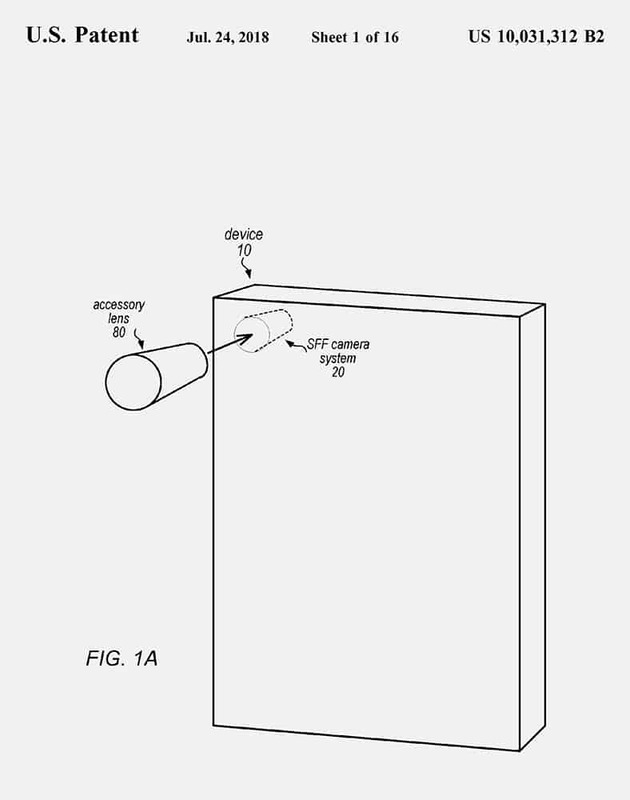 The U.S. Patent and Trademark Office today granted Apple a patent for an “adapting camera system” that could use a combination of solutions, such as moving sensors, image analysis and image processing software to correct problems associated with lens attachments. A sensor could shift the native lens to better align with the lens attachment. 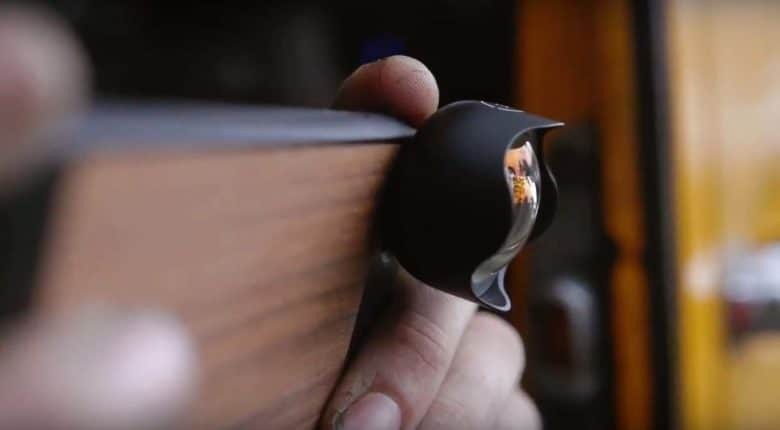 The technology would analyze focus, sharpness, optical distortion, chromatic aberration, vignetting and illumination to determine if the flaws were a result of the lens attachment. Smartphones until the last couple of years came with a single native wide-angle lens. The iPhone 7 Plus changed mobile photography when it added a short-range telephoto and future handsets are rumored to have a third lens. Third-party lenses, like those made by Moment or olloclip, offer extra-wide or fisheye views as well as a telephoto lens. Lens attachments are great if a user is unable to upgrade to the more expensive dual-camera iPhones. The extra lenses also bring even greater reach to those higher-end handsets. Lens not properly aligned can cause unwanted blur or distortion on the edges. Some less expensive lenses don’t quite cover the entire surface of the native lens, resulting in a vignetting or darkening of the corners. 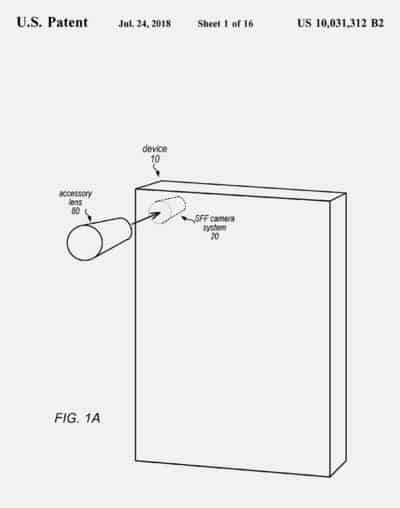 According to the patent, the technology could make micro adjustments to the native camera to properly line up with the back element of a third-party lens. Not every patented idea makes it to a device. Some of these ideas could, but with smartphone companies racing to add more lenses and cameras to handsets, the future of third-party lenses is uncertain. Camera maker Light currently has two working smartphone prototypes, one with five lenses and the other with nine.